WHO DOES FURNACE REPAIR IN CALGARY? Now that the sun is gracing us with its presence more often, your thoughts are probably turning to warm summer days. But before the winter is too far behind us, it’s worth taking the time to do any necessary furnace maintenance and heating repair to keep your system in perfect shape. Harmony Heating and Air Conditioning can help with all your Calgary furnace repairs. As locals, we know the unique challenges posed by our extreme winter weather. We want our neighbors to stay warm and comfortable year-round. If you need furnace repair services, give us a call today. Check the filter. Take the filter out of your furnace and hold it up to the light. If you cannot see the light through it, it needs to be cleaned or replaced. A dirty, clogged filter can lead to reduced airflow and extra dust in the house. It’s best to change your filter about every 30 days. Check the thermostat. You may need to change the battery. Also, check to be sure there isn’t a heat source directed at the thermostat as that will alter its output. If your thermostat is programmable, check that the time and date are accurate, so the timer will allow it to run when you want. Check the switch. Find the electric switch near the unit and flip it. You’d be surprised how often someone accidentally turns a switch off. If that doesn’t work, look to see if a circuit tripped on your electrical panel. Reset the switch and wait to see if the furnace turns on. For a gas furnace, look to see if the pilot light has gone out. Be very cautious if you choose to try this on your own. Follow the owner’s manual exactly. Generally, this is a good time to call a Harmony heating repair specialist. Check that all the vents are open and unblocked. This is another common problem that homeowners overlook. When Do I Need A Furnace Repair Expert? Outside of these more routine DIY repairs, it’s best to call a Calgary furnace repair specialist. 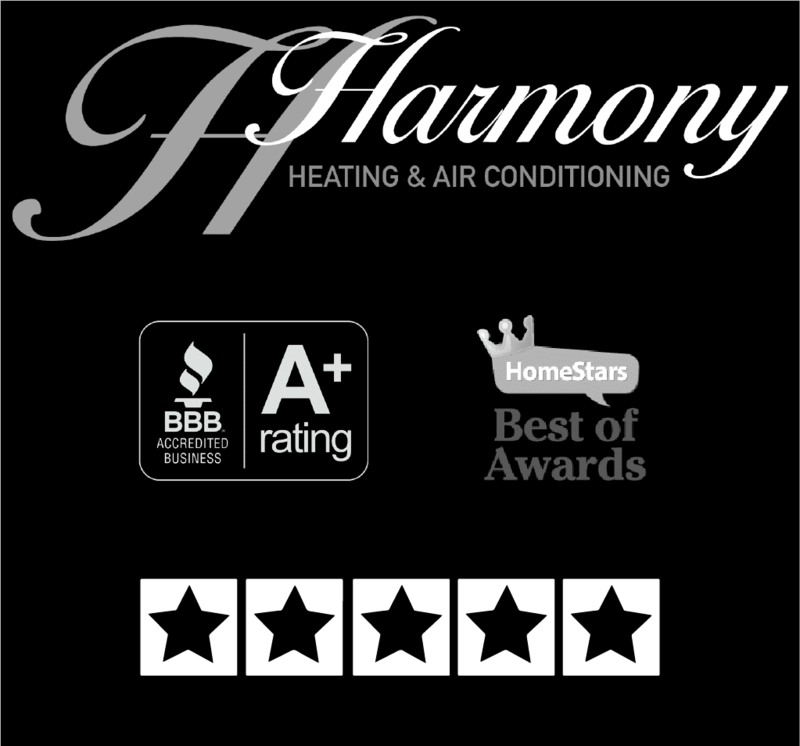 Our friendly staff at Harmony Heating and Air Conditioning can do the work safely and efficiently. If you hear squealing, rattling, or grinding noises from your heating unit, a call to an expert is in order. You may have a worn belt or motor that needs a specialist’s attention. In addition, repairs to components such as flame sensors and ignitors are best to leave to a furnace service technician. Although it is normal to smell a slight burning smell the first time you start the furnace each season, it shouldn’t be an ongoing thing. Any unusual smells indicate it is time to call a furnace maintenance crew. NOTE: If you smell a rotten egg odor, leave the property and call your utility company. This can indicate a gas leak, which is very dangerous. Do not try to handle this situation on your own. If it is, then it’s nearing the end of its natural life. If you have a repair technician on speed dial, it’s probably time to replace your system. If your furnace is in this bad of shape, it is likely time to go with a new system. You will spend a little more money at the moment but will have a product that will be good to go for another 15-20 years. When you need furnace repairs for your Calgary home or business, Harmony Heating and Air Conditioning has you covered. Our highly-trained team will respond promptly and can even help with emergency furnace repair. Give us a call today to get your home back on the road to warmth and comfort.